If you drink wine often enough, you'll start to want your own wine accessories. Whether you are hosting a wine tasting party, want to purcase an appropriate gift to mark a special occasion, or are just an avid wine drinker, this is bound to come up eventually - so let's talk about some of the basics, here! Whatever the reason, a fine selection of wine items is readily available. 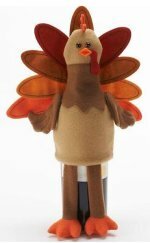 Read April's hilarious finding on wine accessory holiday gifts for wine lovers! Wine gifts and accessories are easily accessible at any number of wineries. In New Jersey, we at Hopewell Valley Vineyards have a wine gift shop. They make wonderful souvenirs of a wine tasting at the winery or may act as a special gift. Cape May Winery also has an extensive gift shop...If visiting the Napa Valley, consider shopping at Dutch Henry Winery or the Jacuzzi Family Vineyards. They are for sale at the gift shops. Some are hand-made specifically for a winery. These retailers contain the best and the worst available. Other options for obtaining wine accessory gifts include specialty shops. In fact, online wine stores are an excellent source of wine accessories. While state laws restrict purchasing wine online, buying wine paraphernalia is free game for all! 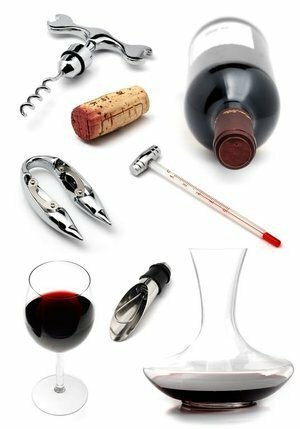 Wine accessories act to – well accessorize. Wine bottle openers – fancy or simple, hand operated corkscrew or electric - it is irrelevant as long as they open the bottles and help you overcome "Corkophobia"! These are the basics, although many would include food. Indeed, if you are holding, or part of, a wine tasting party food that complements the wine is essential. For those who are completely into collecting anything to do with wine the following items may be just what they want. Whether it is a personal gift to the host of a wine tasting party or the necessities required to host a party, the options are varied and interesting. The selection of retailers is also diverse. Local wineries prove to be an excellent source of such items. If this is not possible, specialty shops can provide what you may need. Alternatively, online retailers can ensure you get exactly what you want, on time for the special occasion.